18:00h Arrival in the afternoon at Rafting Camp Modra Rijeka for your white water rafting experience, during the visit to Montenegro. 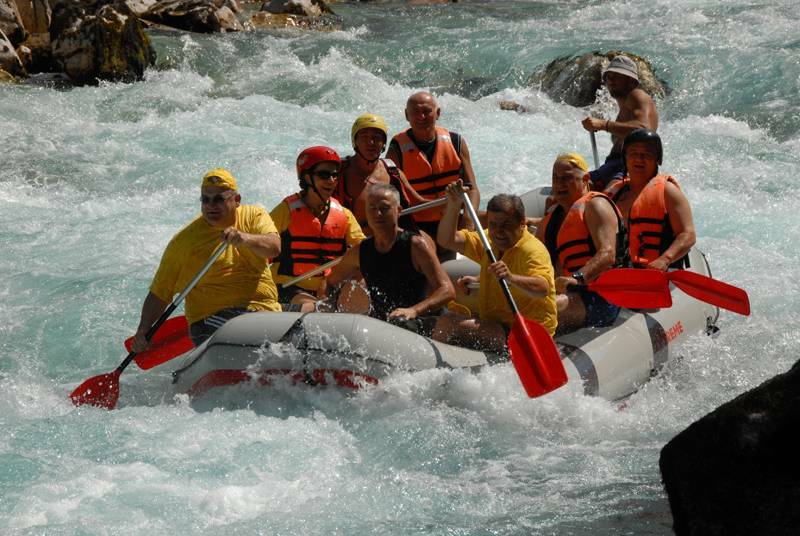 09:00h Rafting in Montenegro starts with delicious breakfast on the terrace of our Rafting camp Modra Rijeka restaurant on the river bank. 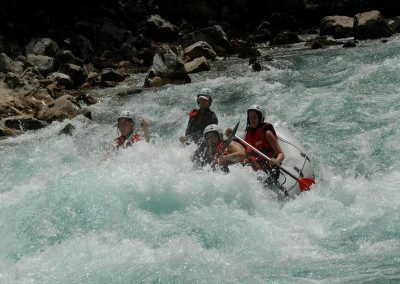 11:00h Departure for white water rafting on river Tara with our terrain vehicles. Driving to Brstanovica (starting point of white water rafting on the river Tara), which takes about 40 minutes. 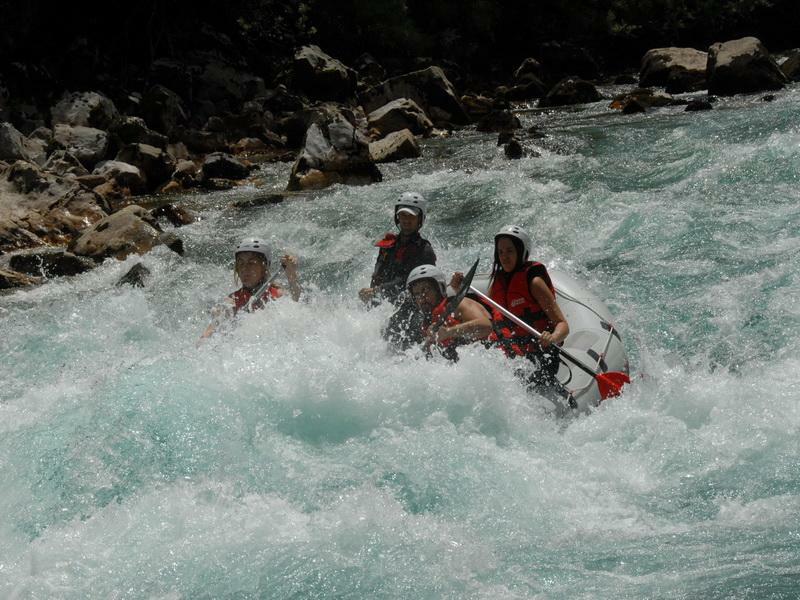 Enjoying untouched landscapes and memorable panoramic view of the Tara river canyon. 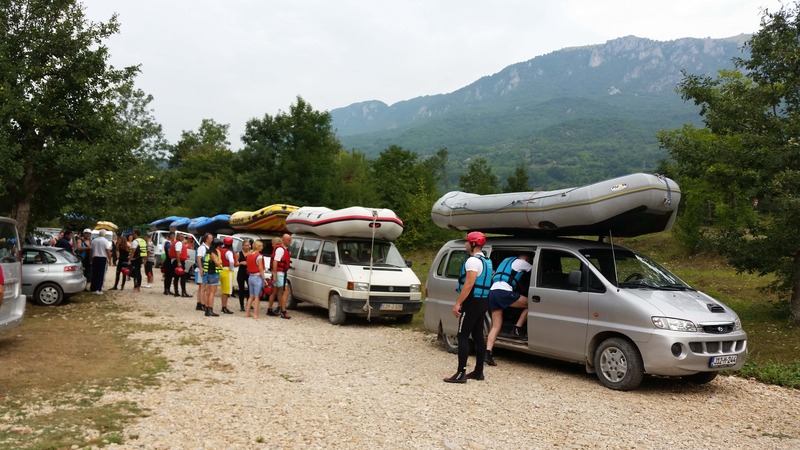 12:00h Arrival at Brstanovica and start white water rafting on Tara river. 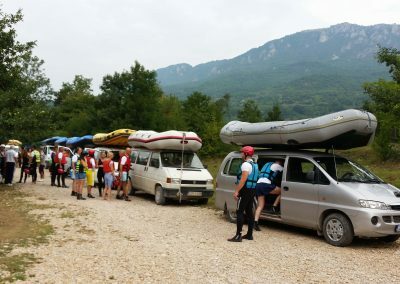 15:00h Arrival at the Rafting camp Modra Rijeka and having great traditional Montenegrin lunch which includes hot soups and quality fresh meat, fish, fresh salads, pastas etc.. After lunch, you can have a rest after an unforgettable rafting day on river Tara. 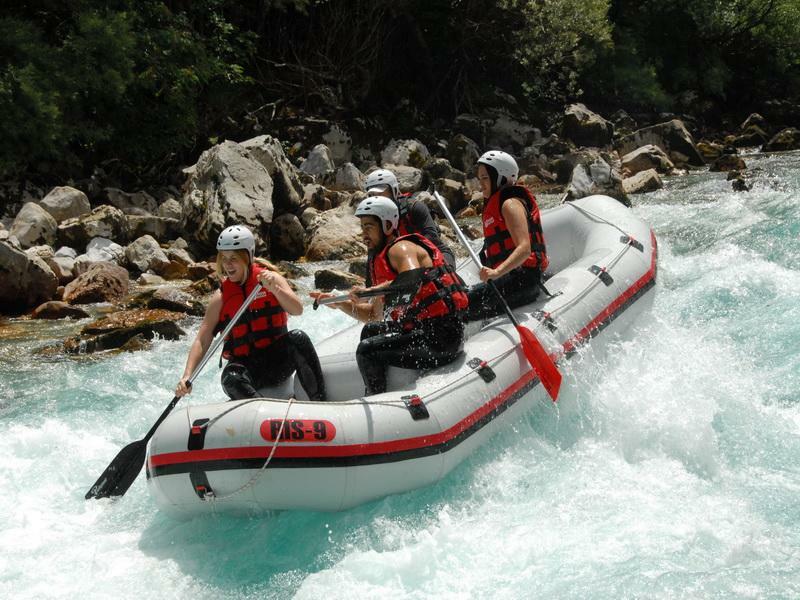 16:00hFree time, relaxing and enjoying in Tara rafting – Rafting Camp Modra Rijeka. 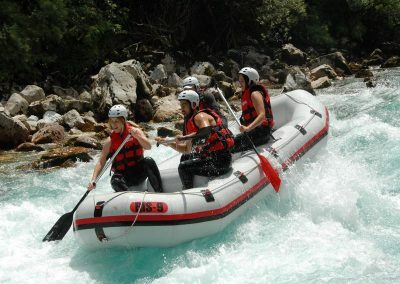 The Rafting camp Modra Rijeka is right next to the river, where you can swim, go fishing, hike, walk along well prepared trails near the camp, rent a mountain bike and many other things..
09:00h Delicious breakfast on the terrace of our Rafting camp Modra Rijeka restaurant on the river bank.